FOMAP has several years of experience manufacturing gas and steam turbines and compressors. Thanks to our modern five-axis machines, FOMAP develops full-buy components for the aeronautics industry. In the aerospace industry, FOMAP has participated in several programs, such as ORION, ATV, MPCV and others. Within the mechanical engineering field, FOMAP generally manufactures a variety of components, such as woodworking machinery, moulds for the thermoplastic and shearing sectors, and gear reducers. FOMAP was specifically established in 1982 as a defence company. Since then, it has been commissioned with the manufacture of components for air defence and control. 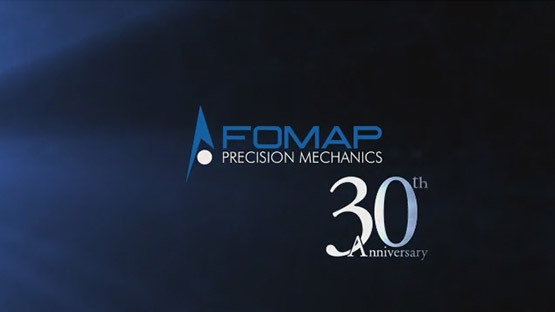 Fomap was founded in 1982 and operates in the field of precision mechanics. It subsequently developed became a qualified partner in market leaders in the energy, aerospace, defense and general mechanics sectors. It still works today realizing parts from medium-large drawings in which high precision finish with two-place tolerance is required. With state of the art industrial equipment Fomap performs CNC boring, drilling, milling and turning and “full buy” parts.